Second edition of a contemporary video art festival with an international selection of video artists and film makers showing their vision on the theme of 'End(less)', translated to infinity, life & death, circle of life, transformation, etc. 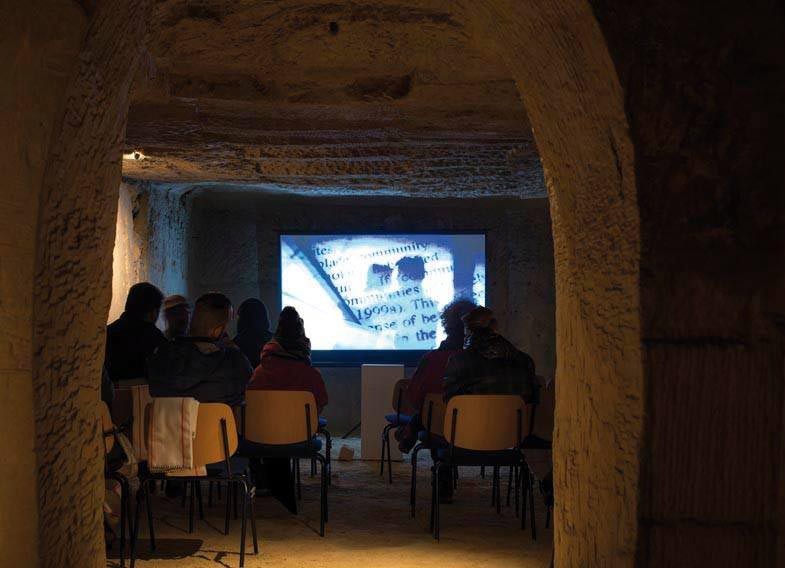 The video's will be screened in a mystical underground space, part of Museum Romeinse Katakomben (MRK) in Valkenburg, the Netherlands. Museum Romeinse Katakomben is a historical Roman museum. Wandering through the underground passages you will discover the ancient Rome of the second and third century. You descend to the graves of ordinary Roman citizens and to the beautiful tombs of prominent Romans. The video festival is part of the contemporary program of this museum.